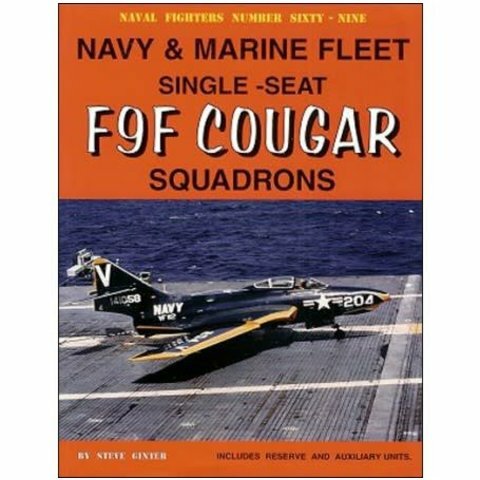 This book has all the F9F Cougar Navy and Marines Squadrons and their histories as well as the US Navy Reserves. It has the history, photos, patch (crest), the ships, and the shore stations they served with photos of the way they were painted and stores. 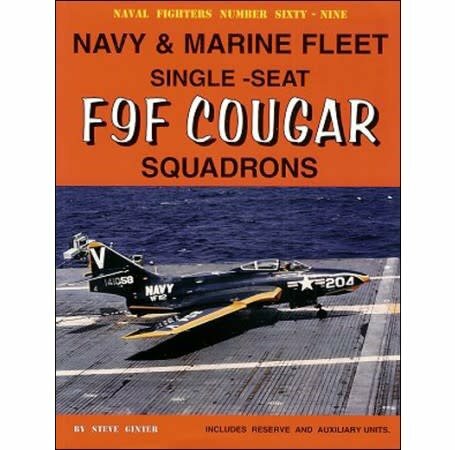 This book has all the F9F Cougar Navy and Marines Squadrons and their histories as well as the US Navy Reserves. It has the history, photos, patch (crest), the ships, and the shore stations they served with photos of the way they were painted and stores. Also includes photos of the first time four aircraft were refueled at one time. 169 pages, softcover, 8 1/2" x 11"